Last year, a bill filed in the House of Representatives required Overseas Filipino Workers to send money back to their dependents or family in the Philippines, or else their passport will not be renewed. Ambassadors, Consul Generals, Chief of Mission, or Charge d’ Affaires are authorized to withhold the renewal or approval of the passport of an OFW who fails to send money home, unless he or she shows proof of compliance of the remittance requirement. 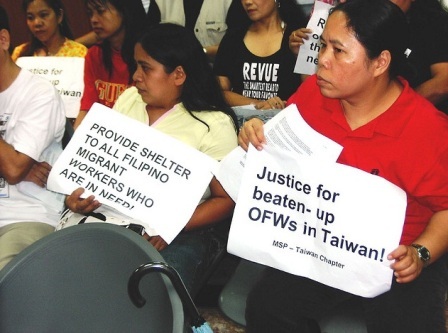 According to the bill’s author, OFW Family Club Party List Rep. Roy Seneres, the bill aims to protect the families or relatives of OFWs who have been neglected and abandoned in the Philippines. Seneres also said that there have been reports of families or dependents of OFWs who have complained of the failure of their OFW relatives to send support to them, and if the Remittance Law comes to pass, then it will require OFWs to send a big portion of their earnings home, as much as 50 percent or maybe even more. Now wait just one minute, what is this, exactly? Has Seneres been huffing nail polish fumes or something equally nasty that perhaps has driven him to propose this law? I see a storm brewing on the horizon, and the aftermath of this is not gonna be pretty. I’m indignant, and not because I am part of the affected party. In fact, I’m not an OFW, but I have two sisters who are working abroad. They do not support me, but they faithfully send money to our parents on a monthly basis. Still, I am against this law and I think that if the day comes when it is approved, it will certainly do more harm than good. 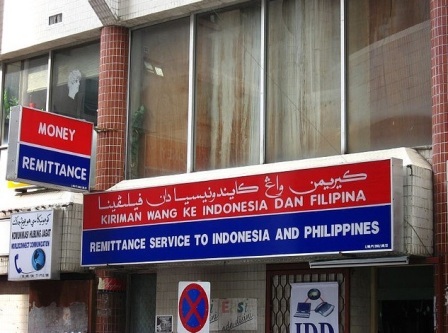 Let us discuss, shall we, why I think this Remittance Law is all kinds of wrong. 1. It’s a violation of worker’s rights. Anyone who works hard has the right to dispose of his or her money in the way that he or she chooses to do so. And requiring or forcing someone to fork over a big part of their earnings or else their right to work abroad will be revoked seems like a violation to me. This is an intrusion from the government that simply doesn’t stand with the values we’ve learned from past years and hold on to today, as it takes away a critical liberty for the working population overseas. Come to think of it, something like this happened back in the early 80’s when the country was still under Martial Law. 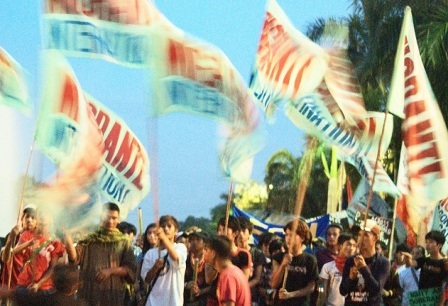 Back in December 1982, former President Ferdinand Marcos passed a forced remittance law, Executive Order 857 which required seamen, contractors, doctors, engineers, and other professional workers to remit 70 percent of their basic salary, while domestic and other service workers should remit 50 percent. EO 857 didn’t fare so well: in fact, it drove OFWs into debt. It gave rise to the proliferation of loan sharks and lending institutions that fed on the desperation of OFWs who were scrabbling to comply. That was a dark time for OFWs who were already struggling with unfair treatment at work, low wages, long working hours, and homesickness. 3. The OFWs have done more than enough to uplift the economy of the Philippines. According to the records of the Bangko Sentral ng Pilipinas, OFWs remitted more than $21.4 billion in 2012, and more than $23 billion in 2013. These remittances make up 8.5 percent of the country’s GDP, which resulted to an average of 7 percent of the country’s GDP growth last year. Because of the country’s economic growth, the Philippines’ debt rating was increased to investment grade, and it has garnered enough positive reviews to encourage foreign investors to see the country’s potential for investment. Forcing OFWs to send more money home is excessive and is asking too much from them, to the point where it’s getting to be kind of greedy. I think what spurred Seneres to go ahead and propose this bill were a few cases wherein some irresponsible OFWs abandoned their families. You know how it goes—the dad or mom works abroad, meets someone new and runs off with that person, leaving the family to wonder about their whereabouts, and with the OFW not sending even a single red centavo to fund the kids’ tuition fees, or the opening of a sari-sari store or anything else that has been promised prior to leaving for abroad, the abandoned family languishes and is deeply in need of financial support. OK, so some of these cases are very true, but let’s not forget that this does not apply to the majority. Not all OFWs are like that. For one OFW who has made a mistake, there are many who are completely devoted to their family and are working their butts off and making big sacrifices to send their kids to good schools, provide for their family’s needs, and even save up enough to open a small business. A prime example of an outstanding OFW is my sister. One of my sisters, a flight attendant who is married to her college sweetheart, has put on hold any baby-making plans for 7 years to keep providing for our mother who suffers from a host of health problems—paralysis of her left arm due to a previous stroke, hypertension, diabetes, and most recently, skin cancer. Though my sister knows that she’s not getting any younger, she doggedly forges on, knowing that our mom needs her, and leaves her chances of having a baby completely in God’s hands. And if that’s not selfless, then I don’t know what is. 5. The government has not done enough to protect OFWs, and this Remittance law is just another slap in their faces. For years, reports of OFWs who were beaten, abused, raped, wrongfully accused, imprisoned and maltreated have been all over the news. To be fair, the government has done some measures that have slightly improved the plight of OFWs, but like a persistent stain, these things don’t just disappear. And yet the Filipino worker keeps on coming back, not because of a masochistic nature, but because of a deep love and devotion to the family that he loves, more than his own comfort, and more than his own personal safety. So a Filipino maid will take care of someone else’s child, leaving her own child behind, and will endure the screams and abuse thrown her way to send her kid to school. The father of six will grit his teeth and work under the hot sun for hours to send home some money to make sure that there will always be food on the table, despite his absence. It’s a hard way to earn a living, but they do their jobs with a smile, and hoping, always hoping, for a better day and a better life. Before the government turns to the OFWs for more money, might I suggest that it should do something first about protecting the country’s resources from corrupt officials and other people, such as this Janet Lim Napoles? Perhaps finding a way to manage the country’s coffers will result to more jobs at home, enabling more people to work in the Philippines so that they don’t have to depend on their OFW relatives? How about restructuring the salaries so that OFWs can have the chance to finally go home and work in a familiar and protected environment? Or maybe, just maybe, the government can get its act together to think of ways to increase livelihood programs that will keep people from solely relying on remittances? While it is true that some irresponsible OFWs fail in their domestic obligations to their immediate families in the Philippines, it is not morally right to penalize all other OFWs who do not fail in their obligations back home. The Remittance law encroaches on the right of responsible individuals, it is an insult to all hardworking OFWs, it is a return to an era of tyranny, it is a travesty. Most of all, it is not a solution. It just creates a ton of other problems. Surely, you can do better than this, Rep. Seneres? I often visit your blog and have noticed that you don’t update it often. More frequent updates will give your blog higher authority & rank in google.